It was a campaign promise by Emmanuel Macron, repeated several times by Nicolas Hulot and François de Rugy: France will have closed its last four coal plants in 2022, at the end of the five-year period. The President of the Republic repeated it in November, during the presentation of the energy roadmap of France. 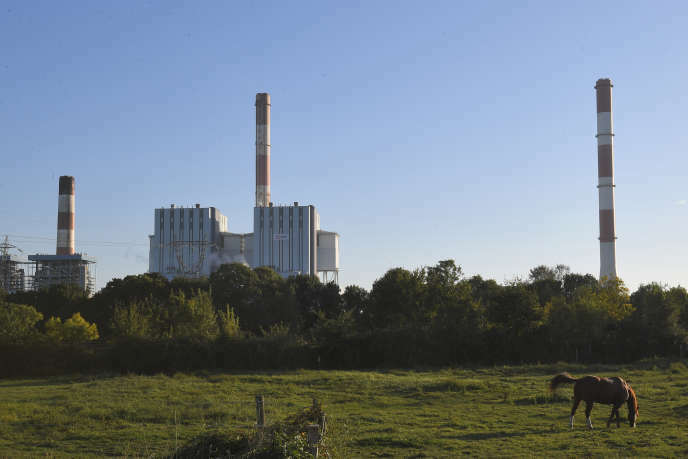 But this promise is likely to be difficult to hold: on Thursday, the minister of the ecological and solidarity transition, François de Rugy, received the unions of the central Cordemais (Loire-Atlantique), and raised the possibility of continuing an activity with a minor share of coal after 2022 on the site. "The date of 2022 is no longer a lock for Cordemais, it becomes adjustable", writes the CGT in a statement. And to add: "The complete cessation of coal in energy in 2022 is no longer an imperative, and the Minister authorizes Cordemais to continue its activity with 20% of coal (...) [et] the commitment of a gradual exit ". In the midst of the "yellow vests" movement, is the government trying to extinguish a new social crisis with employees of coal-fired power plants? In a letter sent to union representatives, that The world was able to consult, the Minister of the ecological and solidarity transition is cautious. It reaffirms the commitment to close the plants before the end of the five-year period. But he opens the door to an arrangement for Cordemais. The plant management and the employees developed a project to burn reclaimed wood rather than coal, which would help maintain the site and some of the jobs. So far, this project, named EcoCombust, was skeptical in the ranks of the government - but also some EDF leaders. In his letter, the Minister states that if "Electricity production by the Cordemais plant should be continued beyond 2022" to ensure security of supply, the EcoCombust project, qualified as "Interesting project", could be completed. This use "May, if necessary, be accompanied by a fraction of coal, in proportions not exceeding, however, 20% of the total volumes". "Without EPR, impossible to close Cordemais", summed up recently a good connoisseur of the file.